See how the size of this glorious pink crepe myrtle tree dwarfs the cars parked nearby. I couldn’t resist capturing the pretty pink flowers contrasted against the vibrant green leaves of the tree behind. This is absolutely incredible. In Indiana I have never seen a crepe myrtle tree that even approaches the size of this tree. It is quite beautiful and I can imagine being surrounded by the amazing blossoms. Thank you! This is the largest I have seen. They generally tend to border the street, although half the size. Bizarrely I first read about them in Anne Rice novels set in Louisiana. I feel very blessed to be able to post about them. Gorgeous! Never saw a crepe myrtle that large. Great photo. 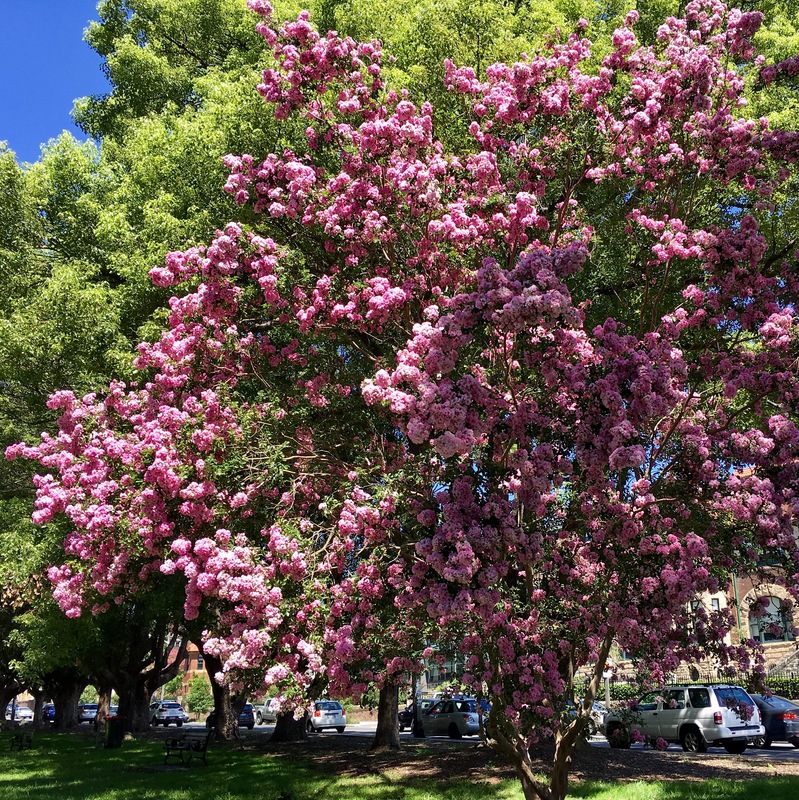 One of my favorite trees – beautiful flowers, soft, smooth bark. We have them all over the South. Lovely photo.